Ecological taxi Barcelona available 24 hours a day, 365 days a year. The level of commitment to the environment of Taximés is total, anticipating the future, we have a wide range of hybrid cars, the ecological taxi of the Japanese brand Toyota, the Prius, a vehicle that intelligently and continuously combines the advantages of a electric motor and a gasoline engine. The result is a higher performance that translates into excellent performance and outstanding fuel economy, also achieving the lowest levels of current emissions. 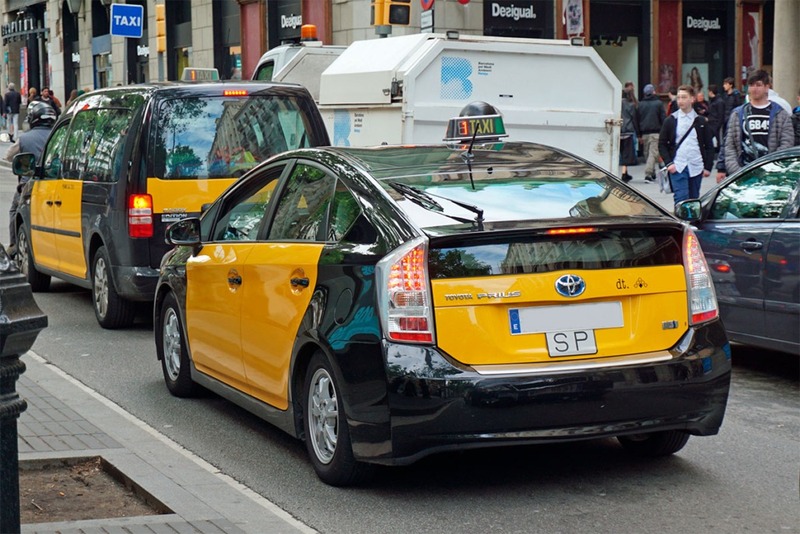 Remember that when booking an ecological taxi service with Taximés, you are booking an official taxi service in Barcelona, a company certified by the Barcelona Metropolitan Taxi Institute, guaranteeing a service with full guarantee. By booking an ecological taxi with Taximés, it contributes to our fight against the intrusion that is affecting the taxi sector in Barcelona.